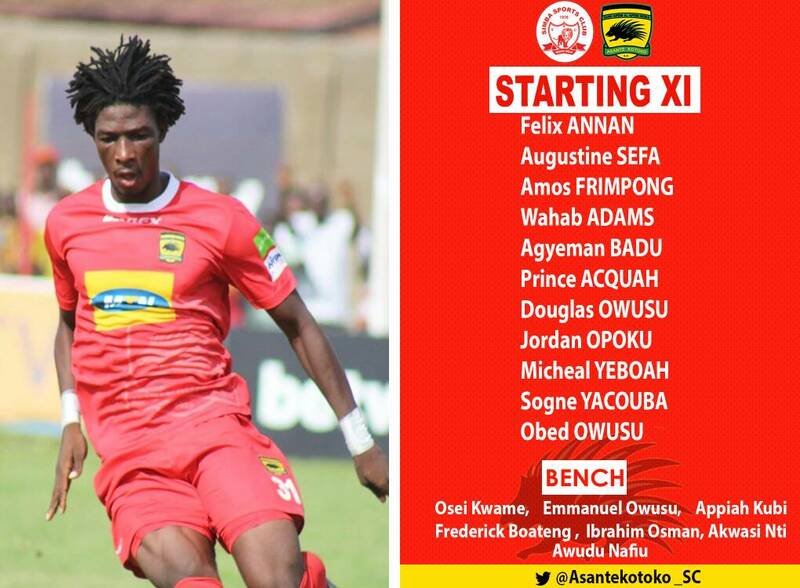 Head Coach of Kumasi Asante Kotoko, Coach Paa Kwesi Fabin has named a strong starting eleven for the International friendly against Simba FC in Dar-es-salam. The Ghanaian giants are being hosted by the Tanzanian Champions in a friendly to mark their Simba Day annual celebrations. Starting in post, is reliable goalkeeper Felix Annan. Burkinabe forward Sogna Yacouba will be leading the attacking line for the Porcupine Warriors. Youngsters Douglas Owusu Ansah and Michael Yeboah have been handed the nod to play in midfielder and will be partnered by experience Jordan Opoku and Prince Acquah. Felix Annan, Augustine Sefa, Amos Frimpong, Agyemang Badu, Wahab Adams, Prince Acquah, Douglas Owusu Ansah, Jordan Opoku, Michael Yeboah, Obed Owusu Sogna Yacouba.